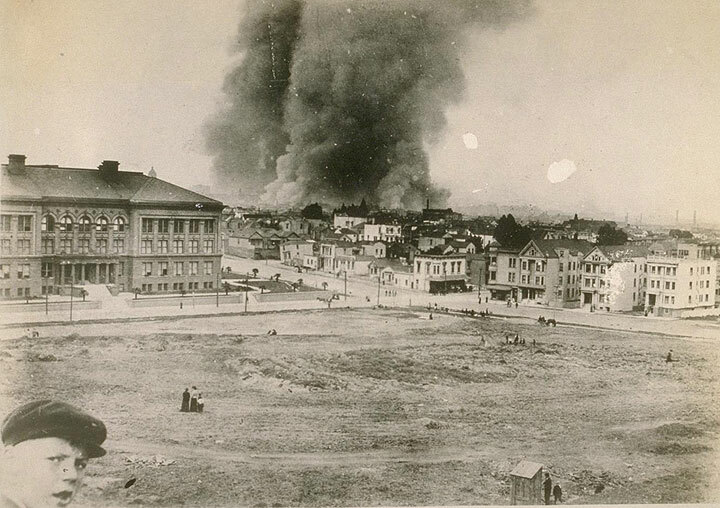 Dolores Park, April 18, 1906, fire burning that will eventually reach the edge of the park. 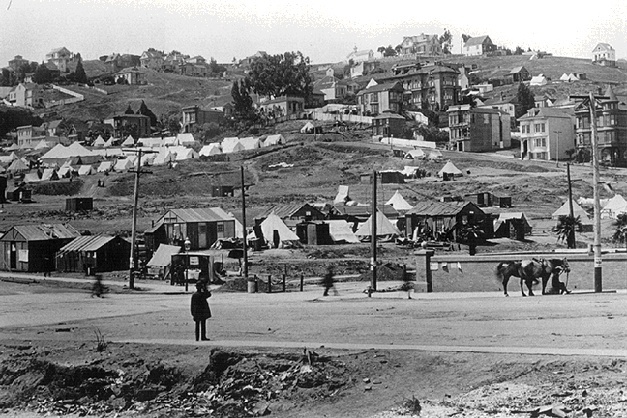 At the top of the hill, at 20th and Church, stands the fire hydrant that is thought to have saved the rest of the neighborhood, because its water continued to flow and helped douse the approaching fire. 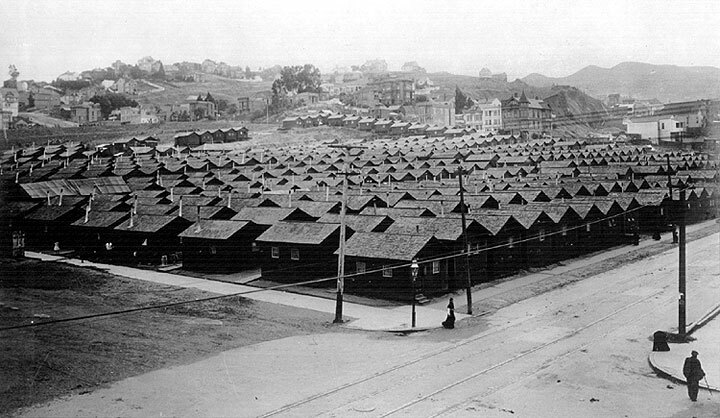 Within months these standardized earthquake relief shacks filled most San Francisco parks.